Condition: Hardcover, cloth. Illustrated. In good condition for its age. Firmly bound. Some stains on boards. Ex-libris plate of society library, with some inscriptions on endpapers and fly leaves. 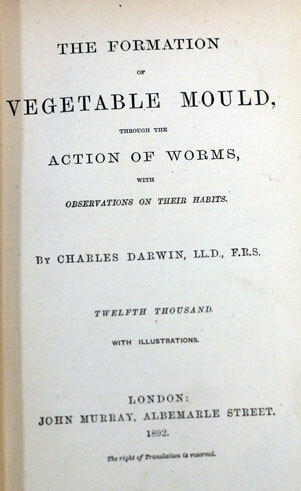 Darwin’s last scientific book, published shortly before his death. Exploring earthworm behaviour and ecology, it continued the theme common throughout his work that gradual changes over long periods of time can lead to large and sometimes surprising consequences. 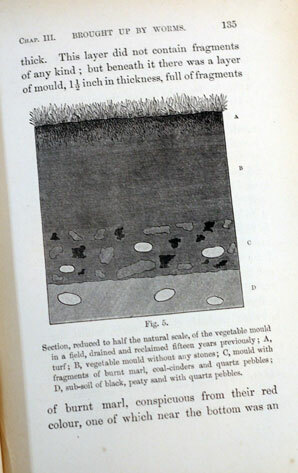 It was the first significant work on soil bioturbation, although that term was not used by Darwin (it first appeared in the soil and geomorphic literature one hundred years later). After returning from the Beagle survey expedition in October 1836, Darwin was intensively occupied with further establishing his reputation as an innovative geologist, as well as finding suitable experts to describe his natural history collections and arranging for publication of their work as the multi-volume Zoology of the Voyage of H.M.S. Beagle. Near the outset of the voyage he had planned a book on geology, and during it extracts from his letters on geology had been privately published by his tutor John Stevens Henslow. Darwin now published papers on “proofs of recent elevation on the coast of Chili”, “deposits containing extinct Mammalia” and “coral formations”. He also rewrote his journal to incorporate observations from his notebooks as the book now called The Voyage of the Beagle, and began brainstorming in his notebooks about transmutation of species. Darwin’s health suffered from the pressure of work, and on 20 September 1837 having been urged by his doctors “knock off all work” he visited his home in Shrewsbury then went on to stay with his relatives at Maer Hall, Staffordshire, home of his uncle Josiah Wedgwood. Uncle Jos pointed out an area of ground where lime and cinders spread years previously had vanished into the soil, forming layers under a top layer of loam. Jos suggested that this might have been the work of earthworms, but apparently thought that this would be of little interest to his nephew, who was working on continental scale geological problems. Actually, Charles did find it interesting and throughout his life he sustained an interest in this “unsung creature which, in its untold millions, transformed the land as the coral polyps did the tropical sea”. He returned to London on 21 October and prepared a paper on worms forming mould. The paper on the role of earthworms in soil formation was read out by Darwin at the Geological Society of London on 1 November 1837. This was an uncommonly mundane subject for the society, and his peers may have hoped to hear of something more grandiose, even seeing this paper as highlighting Darwin’s growing idiosyncrasies. The leading geologist William Buckland subsequently recommended Darwin’s paper for publication, praising it as “a new & important theory to explain Phenomena of universal occurrence on the surface of the Earth—in fact a new Geological Power”, while rightly rejecting Darwin’s suggestion that chalkland could have been formed in a similar way. 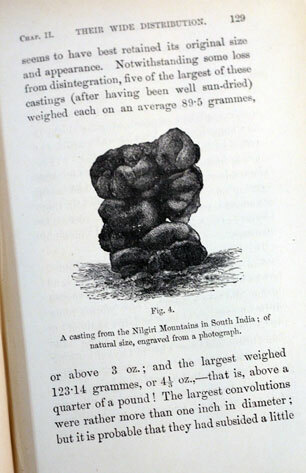 The paper appeared in the Proceedings of the Geological Society of London in 1838, and was published with a woodcut illustration in the Transactions of the Geological Society in 1840. 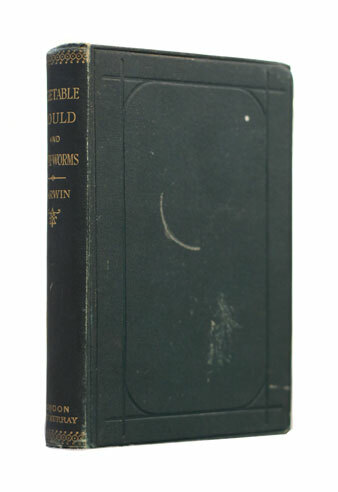 Worms became available in October 1881 and sold thousands of copies in its first few weeks, despite Darwin’s comment to Carus that it was “a small book of little moment”. Darwin received a “laughable” number of letters containing questions, observations and ideas, even “idiotic” ones. A week’s holiday with Emma in Cambridge was to follow. Darwin died the next year on 19 April 1882.